It's that time again - Vegan Mofo! Vegan Month of Food is where bloggers from all over the world join in and blog about vegan food for a month. Vegan Mofo as it is affectionately called was originally created on the Post Punk Kitchen website as a homage to National Novel Writing Month. The idea being that cooking gets in the way of writing novels so the two got combined and Vegan Mofo was born. The idea is to write at least 20 posts, about anything vegan food related. 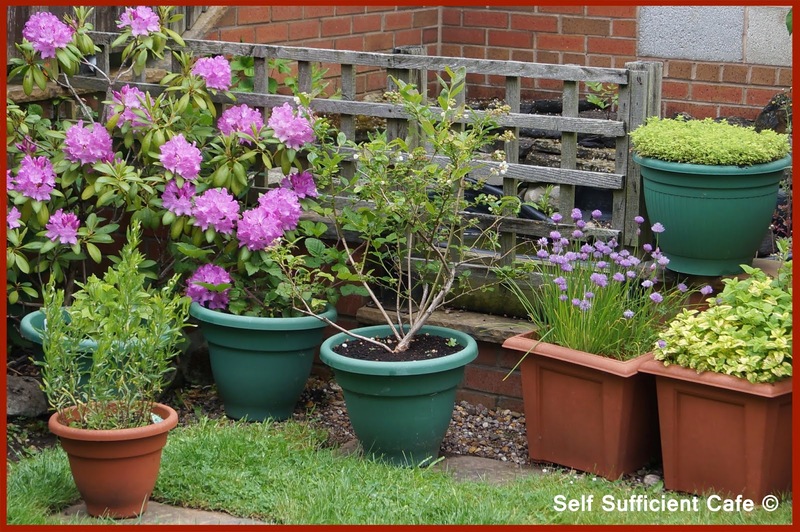 Last year I managed to write a post a day for the whole of September! I'm not promising that this year but I will try my best! Last year my theme was "everything bean like" as I had a massive glut of beans in my garden. This year I've decided to keep the theme around what I have grown in my garden but not limit it to just beans! So my theme is called September Harvest. Each day I will choose a vegetable I have grown and is ready to harvest and cook with it. Simple! Or so it seems! 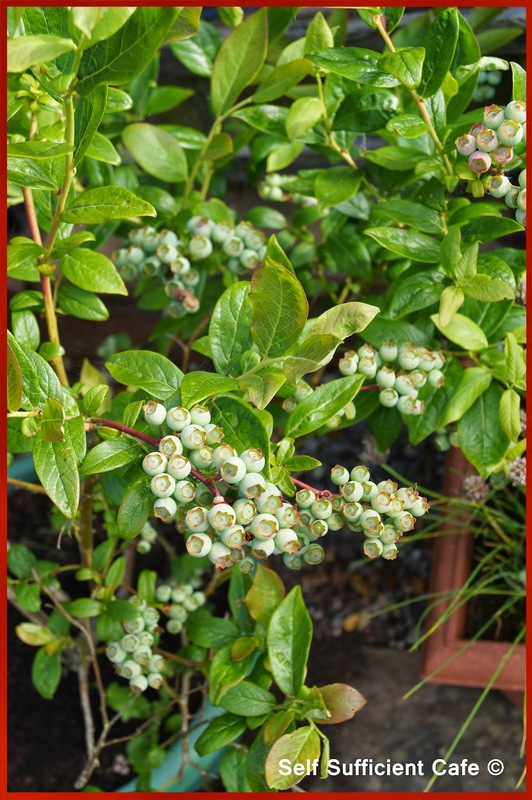 If there is nothing ready for me to harvest, which I doubt, as I have a garden full of herbs, I will still try and write a post and instead of sharing a recipe I will share gardening tips. 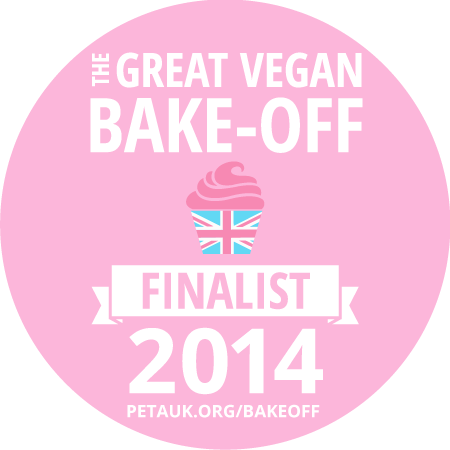 Notice Board: I'm a finalist in the Great Vegan Bake Off! As I turned on my computer this morning to check emails and catch up with my blogloving feed I was pleased as punch to read that I was through to the finals of the Great Vegan Bake Off! I know its only Monday but that has made my week already! There are 10 fantastic finalists all with delicious looking cakes so I'm up against some tough competition. On the plus side I'm with some great company and I am chuffed to bits that the judges put my Raspberry Cake through to the finals. If you could take a few minutes to vote for me I will be chuffed to bits. 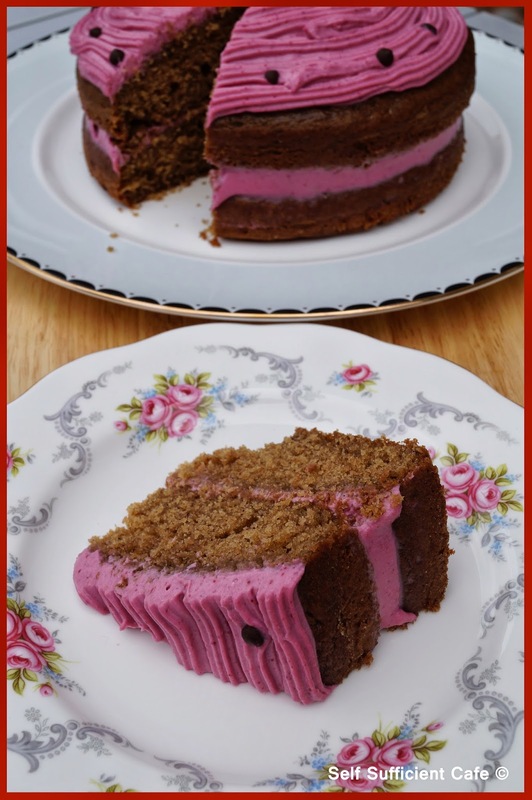 All you need to do is click here or the pink badge at the top and choose my Raspberry Cake from the drop down list (its the last one in the list). 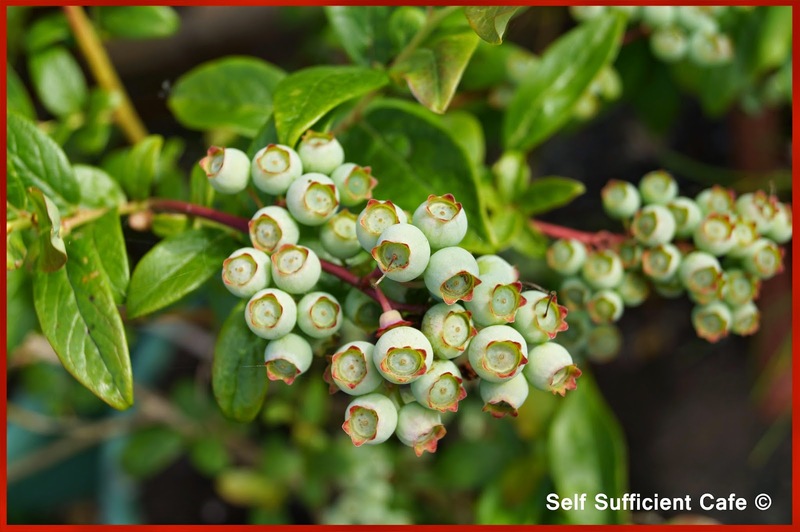 When I put my Monthly Menus together I have created recipes which help celebrate different food holidays or what fruit and vegetables I need to harvest from my small kitchen garden. I very rarely have a recipe waiting in the wings! Even though I have had courgettes coming out of my ears I didn't get round to stuffing one until earlier this week. As usual it was a case of sitting in front of the fridge deciding on what needed eating up first to create the stuffing mixture. I had a packet of Cauldron Falafels that were fast approaching their use by date, which I'd picked up with the intention of speedy work lunches but never got round to using them. So they needed to be the main ingredient in the stuffing. After scanning the fridge I also picked out a few ingredients that also needed eating up and this is what I came up with. Finely dice the onion, red pepper and celery sticks. Cut the courgettes length ways and scoop out the seeds. Put the two halves for each courgette back together and wrap in silver foil. Place in a moderate oven while you make the stuffing. Fry the onion in a a little olive oil until translucent, add the red pepper and celery and saute for another 2 minutes. Dice the mushrooms and add to the pan and cook for another 2-3 minutes or until the mushrooms have released their liquid. Crumble the falafels into the pan and give everything a good stir to combine all the ingredients. Add the parsley, garlic salt and Worcestershire sauce and give everything another good stir. Remove the courgettes from the oven and unwrap, careful they will be hot! Spoon the stuffing mixture into the courgette troughs and pat down so the mixture is compact. Return to the oven on a baking tray for another 15 minutes or until the courgettes are cooked. 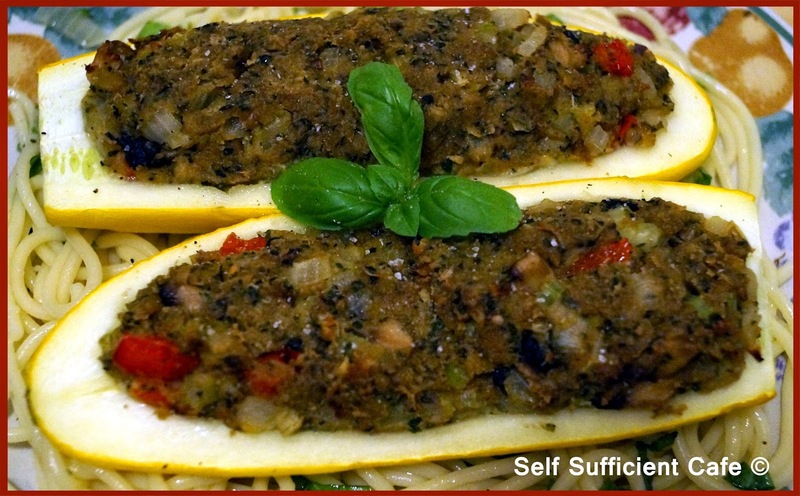 To serve toss the spaghetti in the extra virgin olive oil and shredded basil and sit the courgette halves on top. Notice Board: Its getting Chilly! Regular readers will know that I haven't got a freezer and I have gone without for 10 years plus! OMG I hear you cry, I know, I know, its terrible isn't it? Actually it hasn't been that bad, OK it has meant that I have to cook every night with fresh ingredients but that isn't a bad thing is it? But sometimes when I get in from work late all I want to do is grab something and pop it in the oven. That doesn't necessarily mean processed food that fills your plate with orange hues, or as we call it "orange food". We are now the very proud owners of a fridge freezer! Whoa! Yeah! Yay! See I told you I was excited! It was delivered late yesterday afternoon and after sitting overnight getting comfy in its new home I switched it on this morning and its now ready to get filled! Not only will I be able to have home cooked food prepared and ready to pop in the oven on busy mid week nights when I get home late but I can enjoy vegan ice cream and sorbets which I can wait to get started on making. I've also missed ice cubes! Yes the humble ice cube ready to perk up any drink, oh how I've missed you. A perfect excuse to make vegan Baileys Irish Cream! 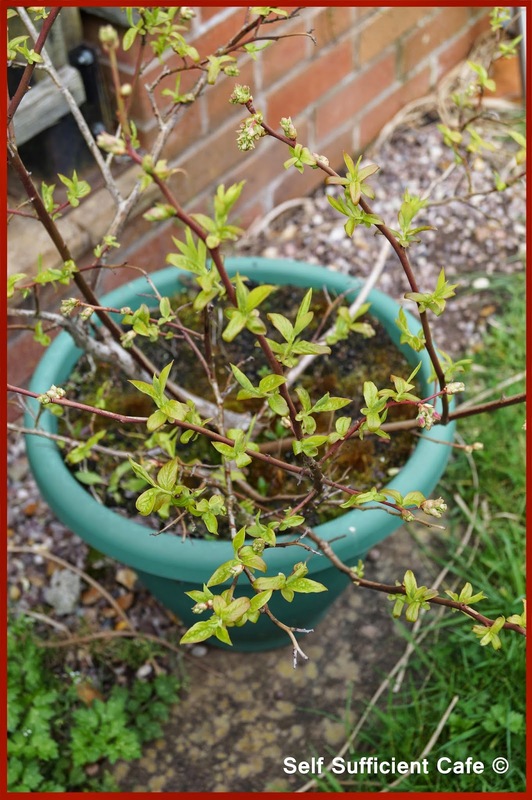 But before I disappear into the kitchen and cook up a storm with my garden harvests and freeze them I had to share my exciting news with you! Once I have filled my fridge with lovely vegan goodness I'll post a couple of photos! But I suppose I can't go without leaving you a recipe! So my next post, above is just that! 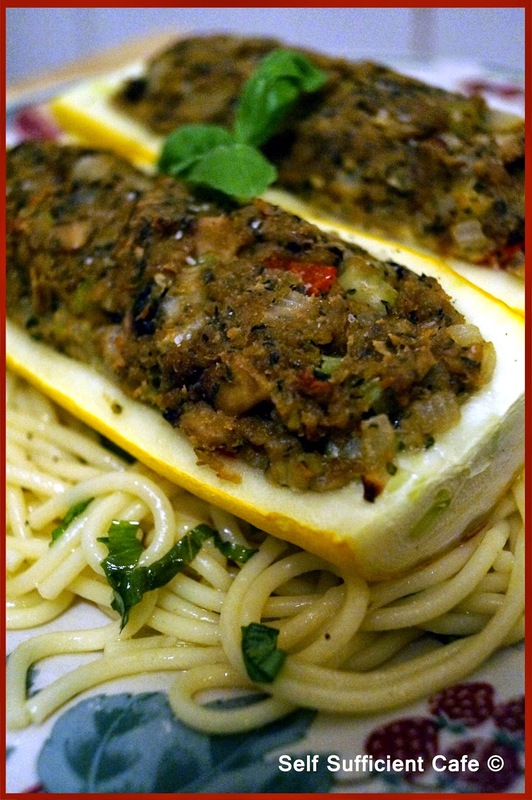 Stuffed Courgette from the August menu. As you can tell from this post I have been craving pasta again! Today I wanted to keep it simple and quick and I will come back to this recipe time and time again especially during the colder months. The recipe only uses store cupboard ingredients and you can add any vegetable to the pasta as you wish, I added mushrooms. 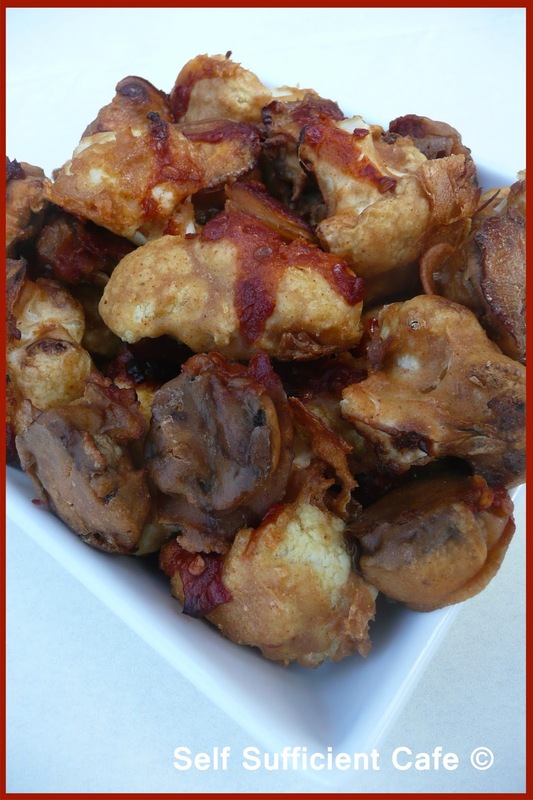 You must have guessed by now they are one of my favourite ingredients and I couldn't live without the humble mushroom! Cook the pasta in boiling water as per the packet instructions. 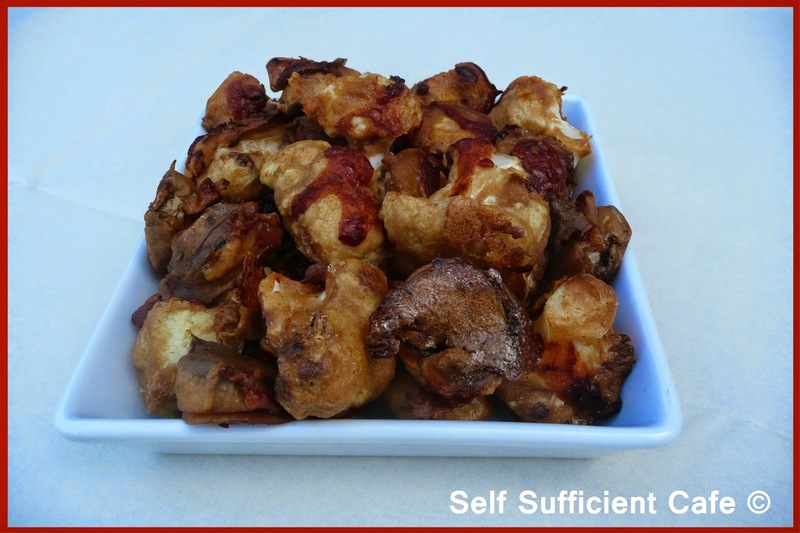 Cook your favourite vegetable and set aside, I fried up 3 field mushrooms. Put the remaining ingredients into a blender and blend until you have a smooth sauce. If you're lucky enough to have a vitamix the sauce will heat up as it blends. Drain the pasta and put back in the pan, add your vegetable of choice (mine is the mushroom), pour over the sauce and cook over a low hear until the sauce thickens. Serve straight away. You could also use this sauce over nachos and serve with side orders of guacamole and salsa. I'm getting hungry just thinking about it! Hands up who likes pasta? It is such a simple ingredient that allows you to have dinner on the table in a matter of minutes. 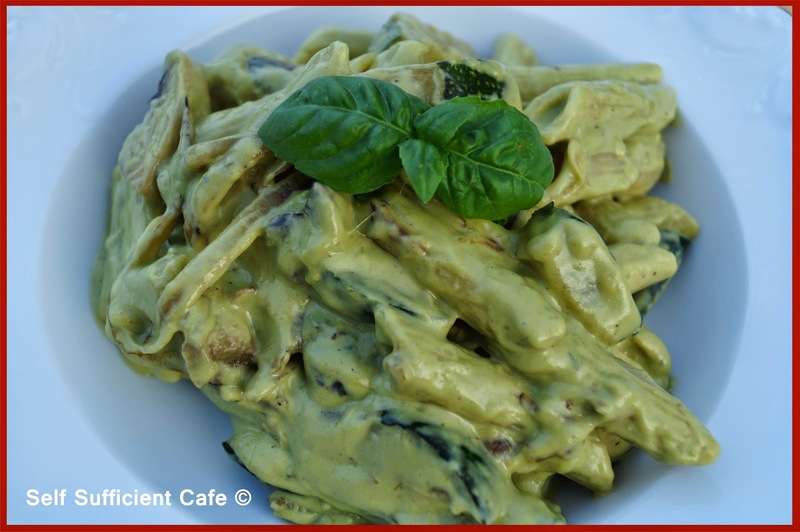 Check out my courgette pasta with creamy basil sauce, which is on the table in less than 15 minutes. 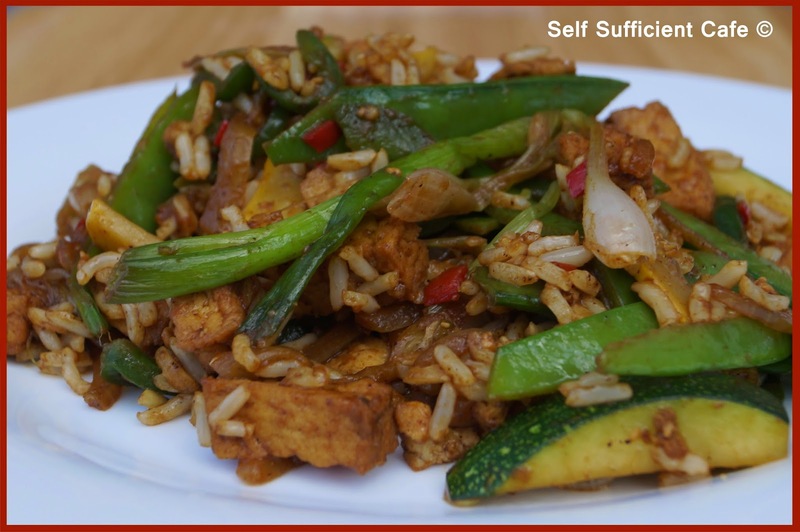 Ideal for a week night dinner when you're tired, and so much healthier than a take away. 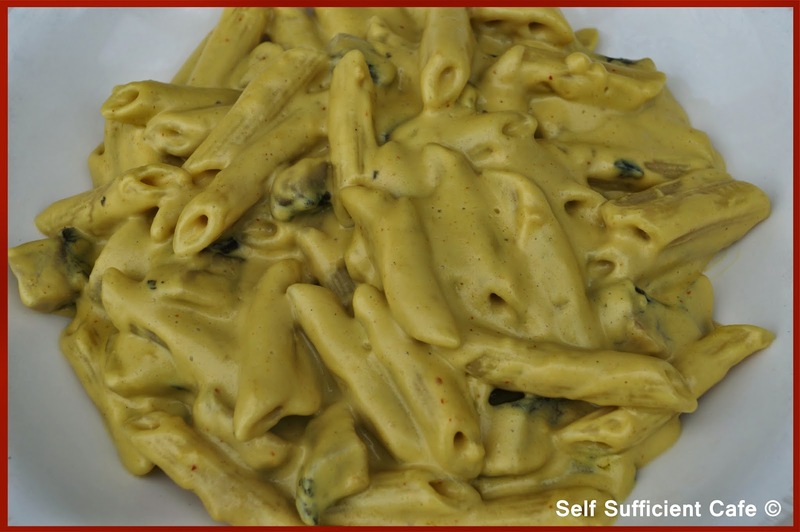 Before transferring to a vegan lifestyle I used to love pasta with a cheesy sauce such as mac 'n' cheese or pasta with a four cheese sauce, but it used to be laden with calories! 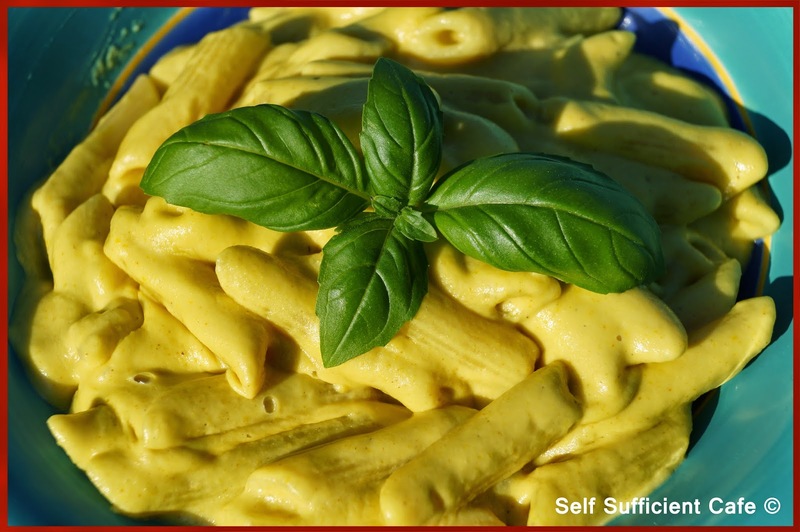 Now I'm vegan, I still love a 'cheese' sauce but I am trying to be a healthier individual and don't want to rely heavily on the range of vegan cheeses that are available. 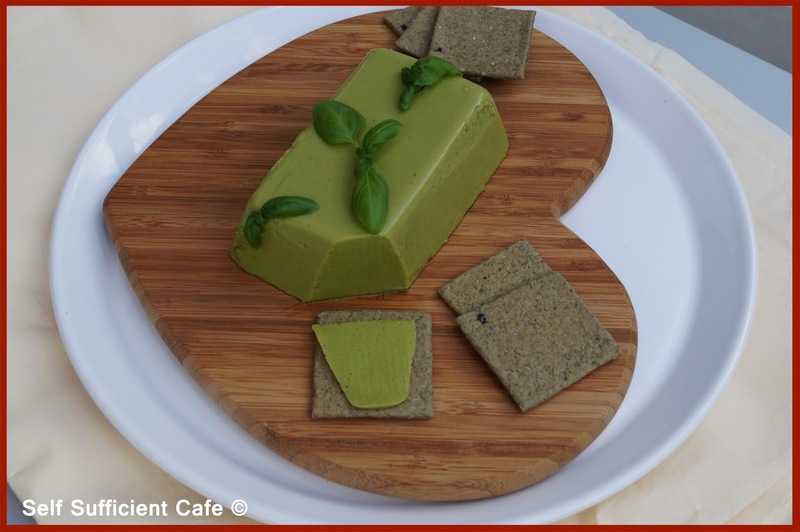 I've tried many vegan cheeses and I have been disappointed with some and shocked by others as some of the ingredients used in some vegan cheeses I can't even pronounce! 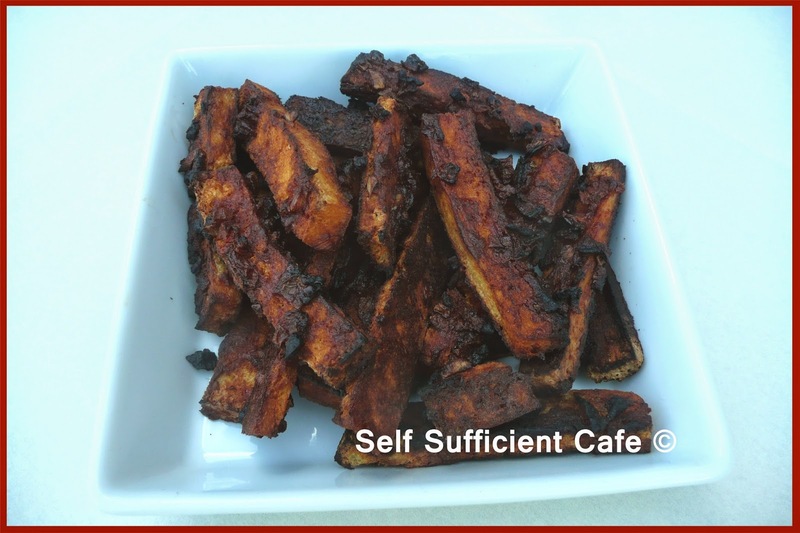 It's easy to replace ingredients with a vegan substitute and I'm not advising that you give up the substitutes there is a time and place for everything, but everything in moderation! Today after scrutinising the label on a vegan cheese substitute I decided to edge on the side of caution and decided to make a "cheese" sauce with no vegan cheeses being used. I needed a yellow colour to my sauce and a cheesey taste so after raiding my spice rack and store cupboard two ingredients that stood out and had to be included were turmeric and nutritional yeast! 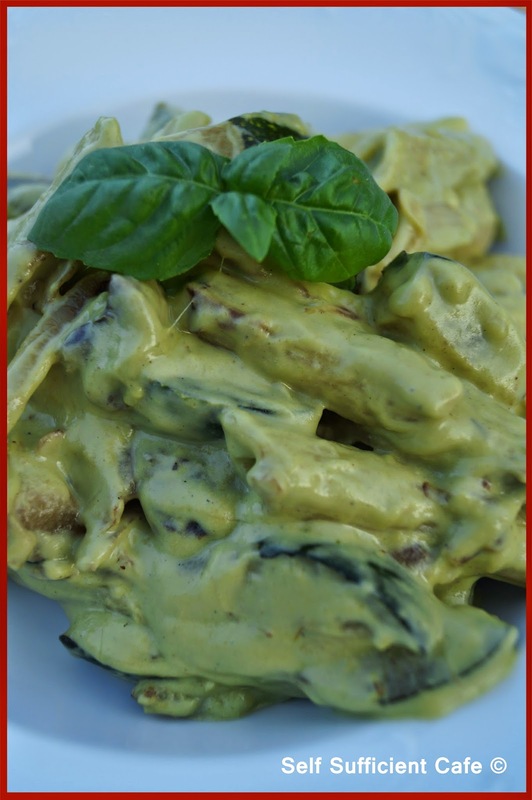 I have previously experimented with "cheese" sauces for last years vegan mofo and I used different ingredients to replicate a cheese sauce with varying results. My most successful ones included Mac 'n' Cheese using sweet potato and Mac 'n' cheese using yellow peppers. 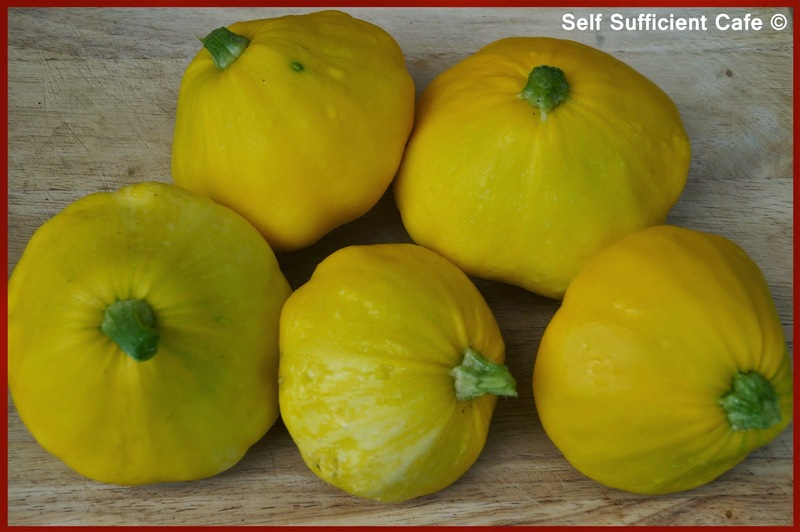 Today I'm using another vegetable that's yellow in colour and I'm also inundated with them from my garden, I'm showcasing the pattypan squash! Cook your pasta in boiling water as per the cooking instructions. In a saucepan add the cut up pattypan/courgette and a little boiling water. Simmer for 5 minutes or until the vegetables are al dente, don't cook until soft. Drain the vegetables and add to a blender. Add the almond milk and cashews and blend until you have a smooth liquid. Add the nutritional yeast, mustard powder, turmeric and salt and blend again. Drain the pasta and tip back into the saucepan, add the sauce and stir to coat over a low heat. The sauce will thicken over the heat, add a splash more almond milk if you want the sauce a thinner consistency. I've submitted this recipe to Shaheens "Vegetable Palette Challenge". 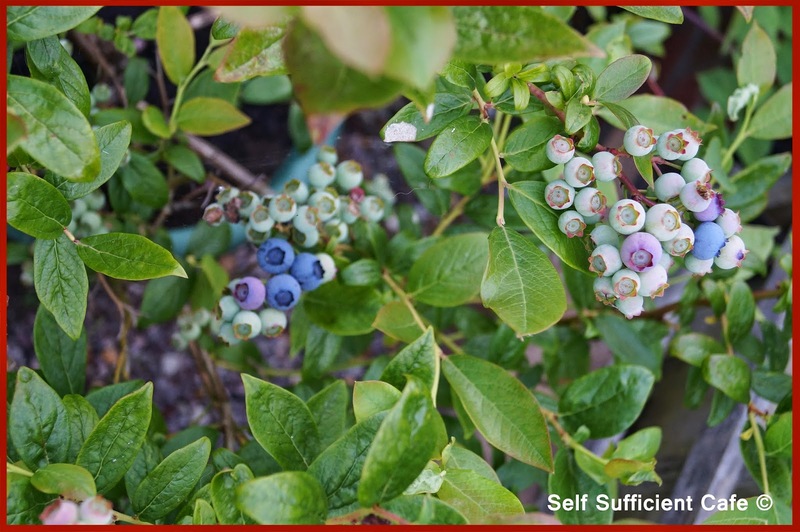 Shaheen runs the fabulous Allotment to Kitchen blog and every month Shaheen chooses a colour, and you make a recipe with vegetables, fruits or a combination of both with that colour. Its a great idea! 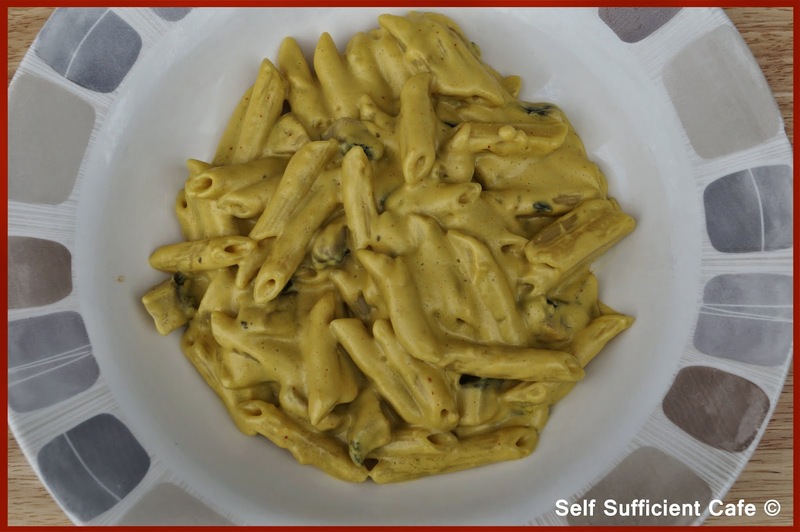 The colour for July is Mellow Yellow & Orange, so this recipe fits the bill perfectly. Broad beans. You either love them or hate them. They are the marmite of the vegetable world. I know so many people that hate these little beauties so I thought I would make something that didn't resemble the vegetable and teamed it with a herb to tone down their unique flavour. I have been taking this "cheese" to work as a snackage with the olive crackers and I've managed to tempt a few colleagues to try it, the result - "Ooooh that's nice", "That isn't made with broad bean is it?" So, if you're a broad bean hater give this Broad Bean "Cheese" a go you might be pleasantly surprised. Cook the broad beans and garlic in boiling water for 5 minutes, drain and rinse with cold water to stop the cooking process. Once cool enough to handle remove the outer skin of the broad bean, which can taste bitter. Transfer to a blender and top with the basil leaves. Add the almond milk and agar agar flakes to a saucepan and slowly bring to a rolling simmer. You need to simmer until the agar agar has melted, about 4-5 minutes. Pour the milk and agar agar liquid into the blender and blend until you have a smooth liquid with no flecks of basil remaining. The colour should be a vibrant green! Transfer to a glass or ceramic container and store in the fridge until set. I left it overnight before slicing. 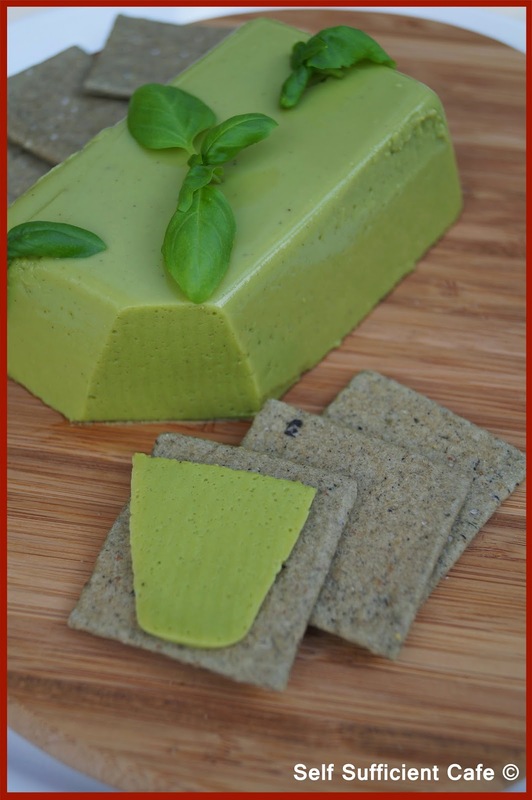 Serve with your favourite vegan crackers, I used olive crackers and the flavours paired up very well together. Enjoy! I've submitted this recipe into "Shaheens Eat Your Greens" Recipe Challenge. 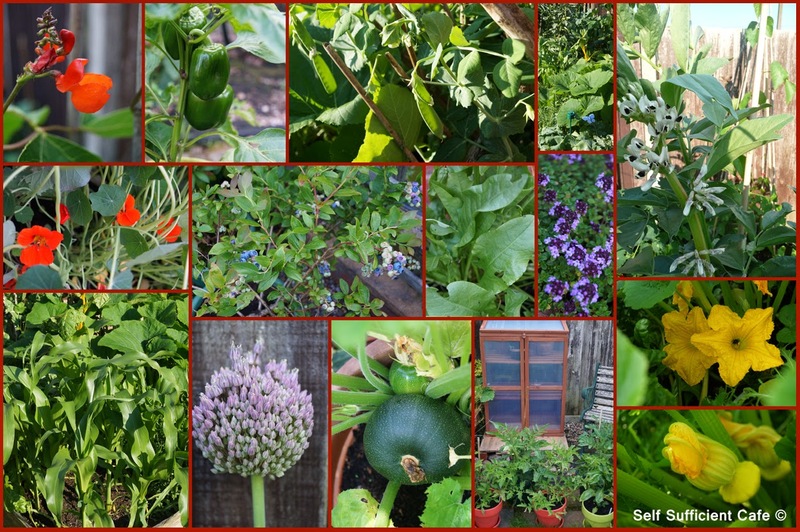 Shaheen runs the fabulous Allotment to Kitchen blog. 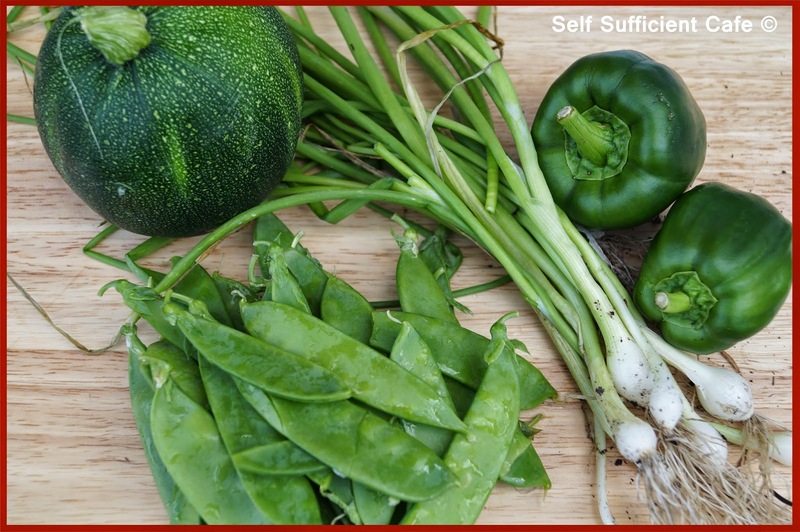 The idea behind this challenge is really simple, to make something with a green vegetable each month. Once you've posted a recipe you email Shaheen and a round up of all the entries will be posted on her blog before the end of the month. I've also entered this recipe into the Simple and in Season recipe challenge, which asks you to enter recipes which use a product that is in season right now. 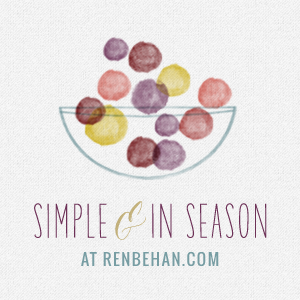 Ren over at RenBehan.com is very busy right now with a new born so Elizabeth's Kitchen is hosting the challenge for August. 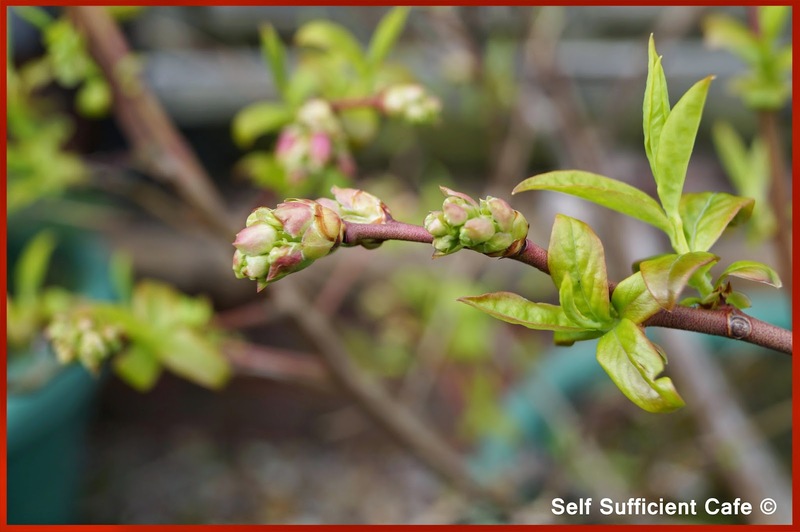 Elizabeth's post that informs the entry details for this challenge states that she has just finished blanching and podding some broad beans, I wonder if she'll give this broad bean recipe a go? I think this recipe also fits the bill for another recipe challenge, which I've only just come across and that's the "Extra Veg" Recipe Challenge. This event is run by Helen and Michelle and the August blog event is being hosted by Sarah over at Maison Cupcake. 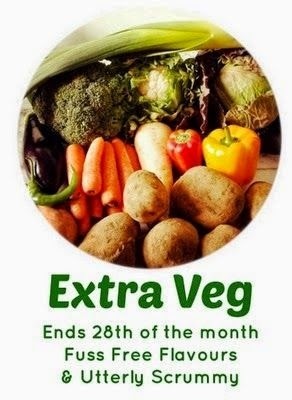 The "Extra Veg" Recipe Challenge was set up to encourage everyone to a healthier start to 2014 and to set the course for the rest of the year. What a great idea, fill up on veggies and there's no room for the bad stuff. There is nothing better than walking outside into your garden, picking vegetables to have for your dinner! You really can't get any fresher than that can you? After wondering round my garden I managed to harvest an eight ball courgette, a handful of mange tout, 2 green peppers and a bunch of spring onions. I instantly craved a stir fry with all this green goodness. 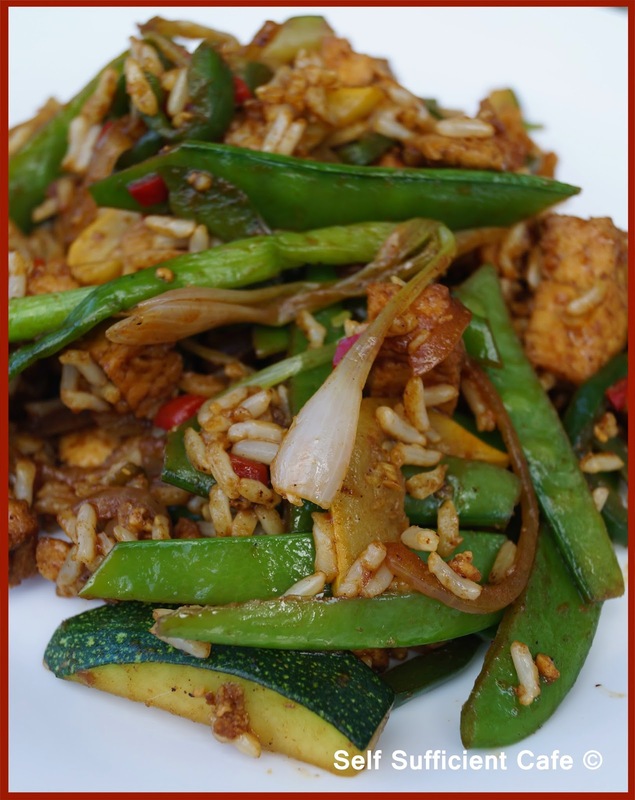 I love stir fries as they don't take long to make and with a couple of added ingredients can taste amazing and fresh! Heat the oil in a wok or similar pan and throw in the spring onions, chilli, garlic and ginger and saute for 1 minute. Add a splash of water if things start sticking and be careful not to burn the garlic or ginger. Add the green pepper strips and stir fry for another 3 minutes. Add the courgette and stir fry for another two minutes. Keep adding a splash of water if things start to stick. 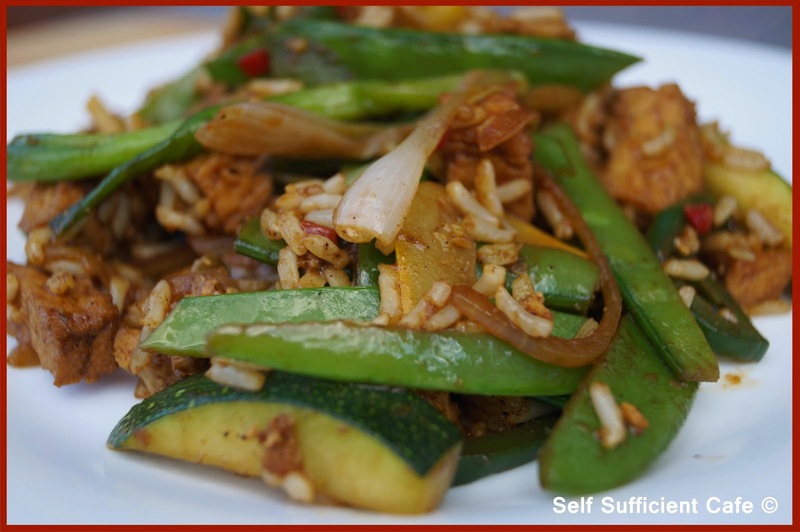 Add the Mangetout with the soy sauce and stir fry for another minute. Add the five spice powder and stir to coat all the vegetables. Add the marinated tofu (or if you prefer marinate your own). Stir to coat in the five spice and soy sauce then add the cooked rice and stir through. Serve straight away with a good grind of black pepper for extra heat. 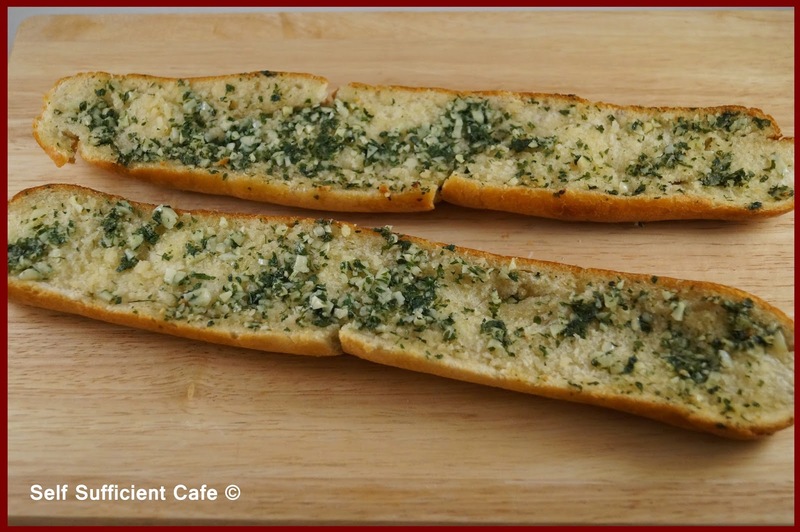 You could serve this with some of my homemade garlic bread too. A while ago Lenny & Stacy from My Vegan Mind asked me if I would do a guest post for their website. I was delighted to and because of the summery weather we've been having I decided that it could only be a BBQ meal plan. My exclusive menu has been published over on My Vegan Mind but you can also find it here. This menu is a bit of a cheats menu as you don’t need a BBQ to make it or you can prepare some of the food and then just heat through on the BBQ! Each recipe will serve 4 people plus if you serve along side the salads. The cauliflower & mushroom pops are hot but you could tame the heat by using a different sauce why not try sweet chilli sauce if you’re not a heat freak! First break up the cauliflower into florets and peel and de-stalk the mushrooms (you don’t need to de-stalk the mushrooms its just what I did). Mix the next 5 ingredients into a bowl making sure all the flour has been incorporated into a batter. Lightly oil a large baking tray with the olive oil spray. Drop the cauliflower florets into the batter and mix to coat and transfer to the baking tray. Drop the mushrooms into the batter and mix to coat and transfer to the tray. If you have any batter left over you could always try pieces of red pepper or broccoli. Bake in a moderate oven for 15 minutes until the batter has hardened a little, then add the chilli sauce and return to the oven for a further 5 minutes. 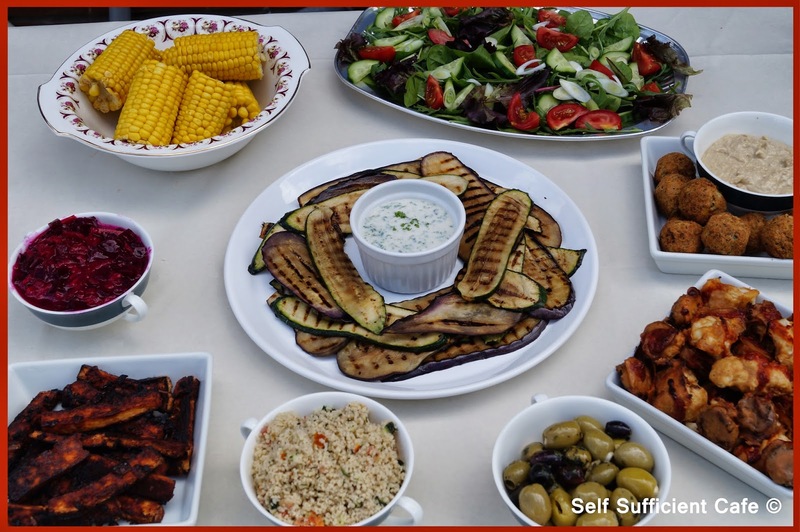 Remove from the oven and serve straight away or when cold wrap in a silver foil parcel and place on the BBQ for 5-10 minutes to heat through. Saute the onion, garlic and chili in the olive oil until the onions are translucent, turn the heat down you don’t want to burn the garlic. 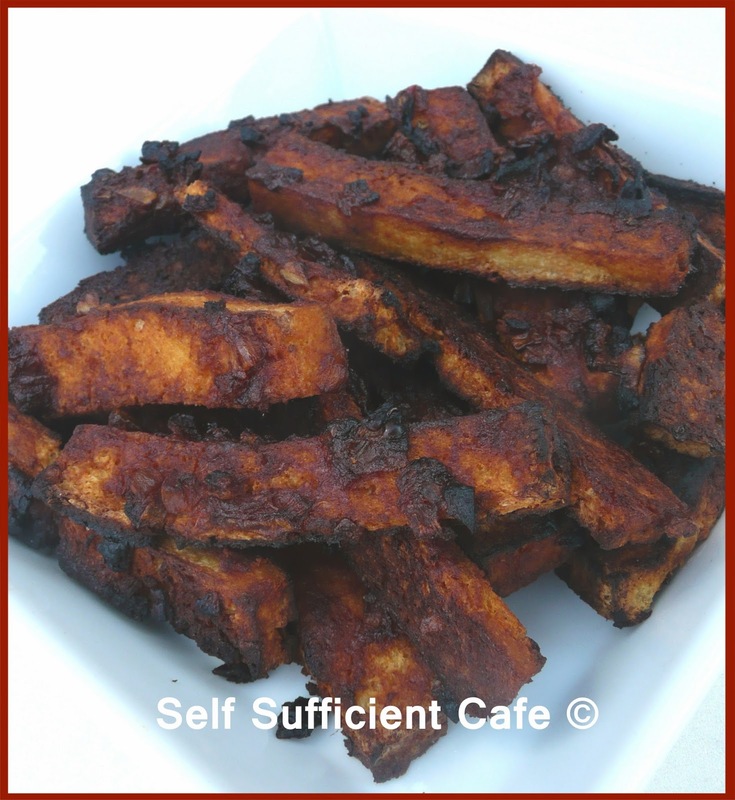 Turn the tofu strips onto a greased baking tray and bake in a medium oven for 40-45 minutes or cook on a BBQ turning every 2 minutes until all sides are ‘seared’. Slice the aubergine and courgette lengthways. 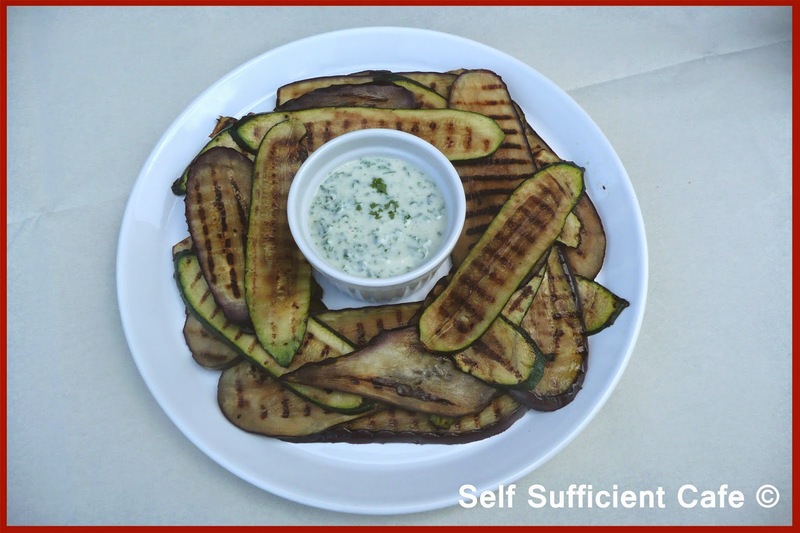 Salt the aubergines and set aside to release the bitterness. Mix the olive oil, chilli oil and balsamic vinegar thoroughly to make the dressing. Once the aubergines have released some liquid, rinse and pat dry. 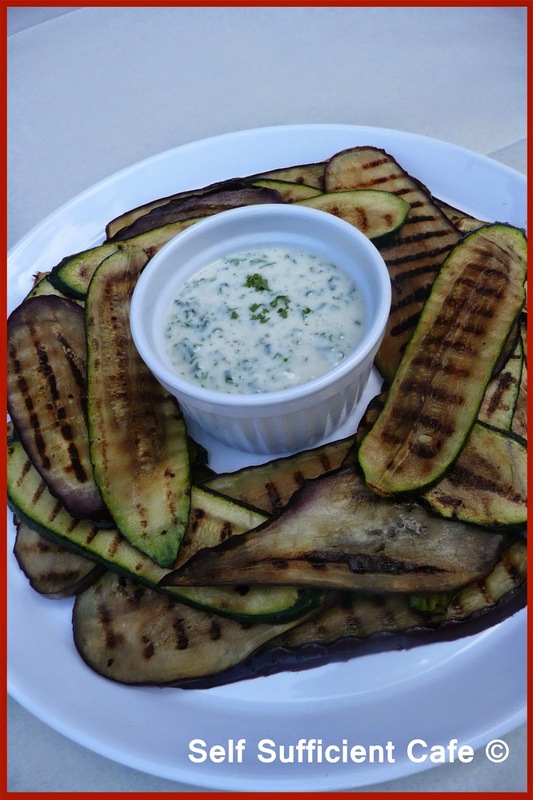 Brush a little olive oil onto one side of each strip of vegetable and place on the BBQ (or you can use a griddle pan) while it is cooking brush on the dressing and turn over, brush the other side with the dressing and turn once more until you have griddle marks in the flesh. Transfer to a plate and cook the remaining slices. To make the dip mix all the ingredients and serve with the vegetable strips. Cut the 4 ears of corn in half, if you cut through the corn kernels the core will snap in two if you break it with your hands. Either cook the corn in boiling water for 5-10 minutes or wrap in foil and place on the BBQ, turning often. If you don’t mind some of the kernels burning you don’t need to wrap in foil. To make the herbed butter mash the herbs and seasoning into the margarine and return to the fridge to harden. 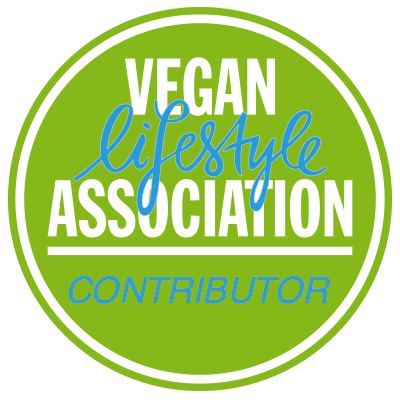 Some time ago Lenny and Stacy from MyVeganMind.com got in touch and asked me to write a guest post for them. 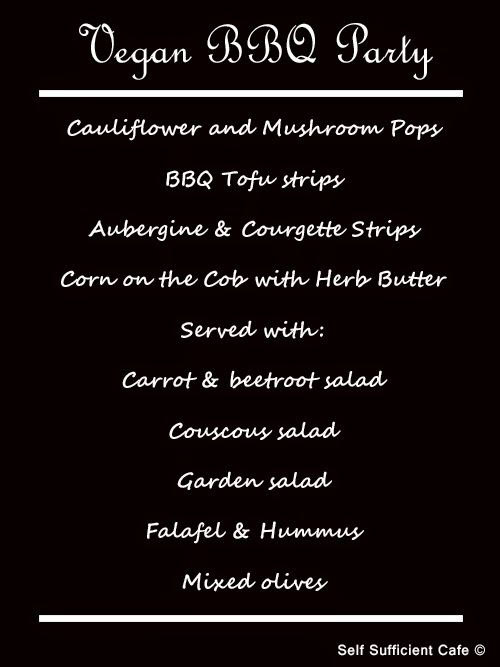 I created an exclusive vegan BBQ menu just for them and it is now live on their website. Go check it out! In return I asked them to write a post for Self Sufficient Cafe and as they spend 6 months of the year in Italy I asked if it could be Italian themed. You can imagine my delight when they wrote a post about pizza! So without further ado I introduce Lenny & Stacy and their top tips on vegan pizza in Italy! Pizza not only is a complete meal in Italy, but also a past­time. A work of art in some areas, if you will. There are a couple of things you need to know to get it right the first time. The trick to getting the perfect pizza is not so much in the ingredients, but a number of other things. #1: The proper crust. First off, are you a thin­cruster or thick­cruster? Traveling through Italy one will notice that in some regions the thickness of crust varies greatly. Naples is famous for a traditional pizza crust, which is a bit higher and thicker, but not so thick you have to chew for a while. Places such as Tuscany are known for an extremely thin almost cracker like crust. Different flours will help determine the thickness of crust you want, as well as the rolling or tossing technique. It also needs to be determined if one is using yeast or not. Yeast will make the crust fluffier and usually thicker. For example, we used whole wheat/rye flour mix in our pizzas. They remain thinner and do not rise, but in generally are more difficult to work with than white dough simply because more kneading is required. Experiment....the adventure is yours! #2: The right amount of salt. It’s always a dilemma because adding too much kills the taste of the vegetables on the pizza, but also isn’t so health­friendly. Salt can be added either into the pasta dough, onto the pasta dough after it has been prepared for sauce and vegetables or simply added on top after the pizza is cooked. Salt is not a requirement whatsoever and one can choose his/her level of saltiness. #4: The right amount of cheese. With the faux cheese we noticed that the mozzarella is generally less strong than the faux provolone we use. In fact, on the pizza the mozzarella really did not add any taste at all so if you want a cheesier taste, go for the provolone. It is best to put the cheese on after you spread the sauce. This way it will melt more evenly and will not burn. Cheese that is added onto the top of the pizza can be added a couple of minutes before the pizza is done. #5: What vegetables to use? Anything goes. We have used everything on our pizzas and they all came out great! Hard vegetables like potatoes and carrots take a bit long to cook. If mixing them with delicate green vegetables such as spinach it is best to cook the pizza first with the hard veggies then add the spinach a couple of minutes before the pizza is done. Same with broccoli, kale, corn kernels etc. Onions work best if you put them onto the pizza first because the taste absorbs into the crust. 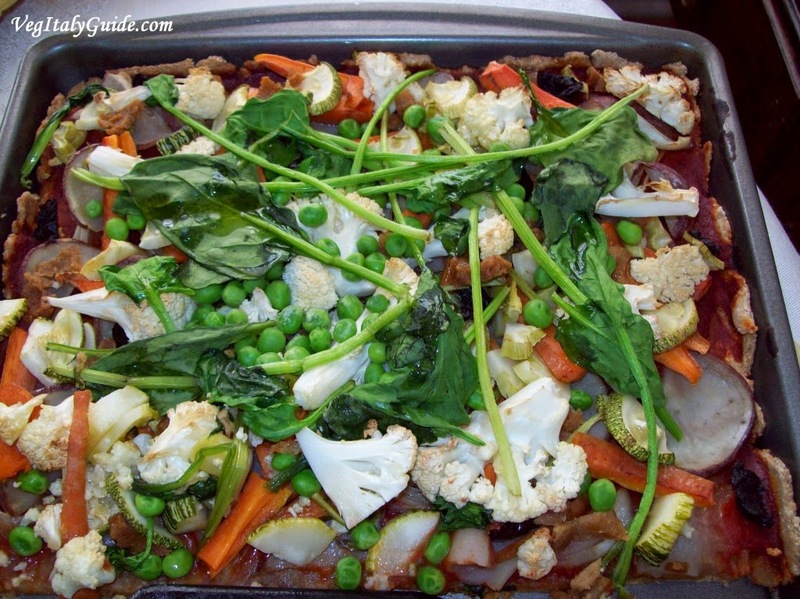 We used potatoes, carrots, onions, broccoli, black olives, peas, and red lentils on this one. For a stronger taste you can add garlic and capers. you can also get pizza bianca (white pizza) meaning there is no tomato sauce. Many times there is fresh rosemary and salt on it. 1) In Italy, you will never have to worry about cheese filled pizza crust. Does not exist. 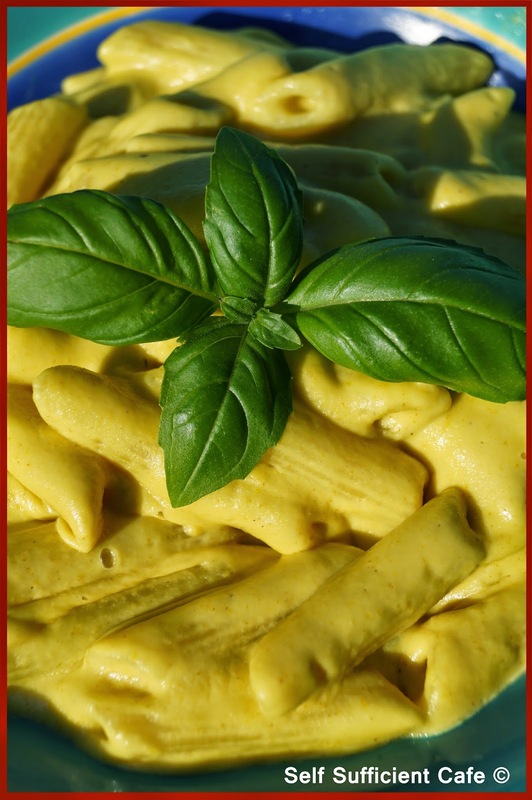 At most you may have a sfoglia or torta salata where there could be melted cheese and meat inside. A sfoglia can be kind of similiar to a calzone, since they are closed. A torta salata literally mean salty cake. But these are not pizzas. They are completely other dishes. plate, no need for appetizer. If you get a pizza, it is definitely going to be enough for your stomach, trust me. (though there is always room for vegan dessert). Most pizzas come by the slice, the classic size and some pizzerias, but not all, make a large size for 4­-5 people. gluten sensitivity, you may want to look for some gluten free options such as kamut. 4) Not all pizza menus will be in English, so just prepare. Also, not everyone knows what vegan means. Many Pizzeras are now owned by Egyptians or Turks, so they may be learning Italian as their 2nd, 3rd or 4th language! It helps if you take the step forward. 5) A general rule of thumb for crust thickness: farther north is thinner, farther south is thicker. 6) The Marinara is always going to be vegan. 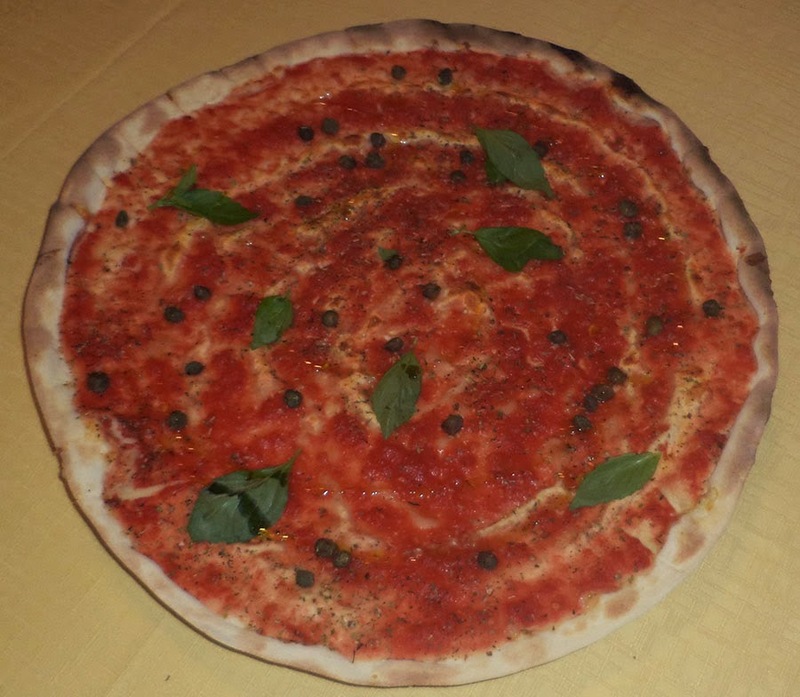 It is tomato sauce, olive oil, oregano, basil, garlic and maybe a couple variations, for example maybe the pizzeria uses only oregano because they ran out of basil. Anyways, its vegan. Wherever you go, with family, friends, tours, whatever, the marinara pizza will be your best friend. Let’s review. “No” + anything above and they will understand you. Meats. There are quite a few meats and instead of memorizing what you don’t want, it’s easier just to simply say “No carne”, (car­neh). word for fish. “No pesce”. (pesh­eh) Or just remember Joe Pesci, the actor. Just don’t tell them “no Joe”, they probably will not get the joke. **The best bet for veg­friendly pizza in Italy will usually have these names: A vegetariana, ortolana or alle verdure. Always ask because they may have different names. I've been busy harvesting all this week, I can't believe how many courgettes I have collected, they just keep coming! Thankfully I will never tire of the courgette, and you will see lots more recipes showcasing this vegetable throughout the next few weeks. I've also harvested more broad beans although I think these have come to their end now, which is a shame as I do love a broad bean pate! 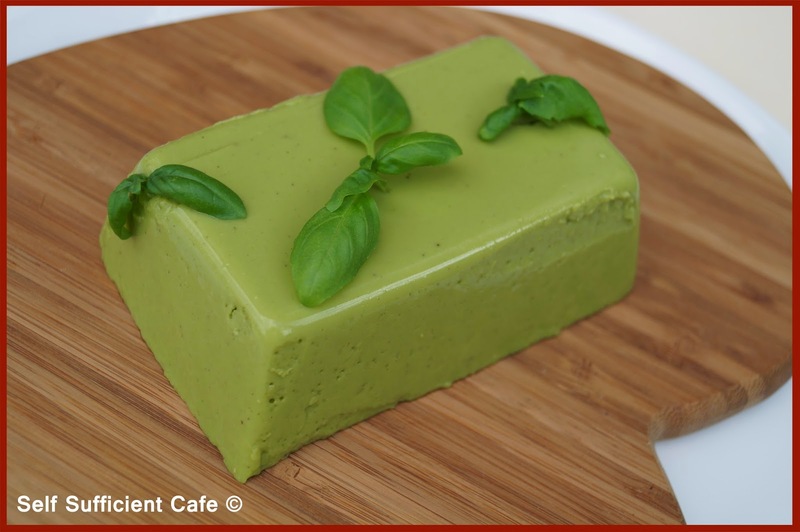 I'll be posting my recipe for a broad bean "cheese" soon too which I have been enjoying as a snackage at work! Exciting times too as my asparagus peas have just started 'fruiting', and my runner beans are starting to grow, I've had one small harvest from my 6 plants so far, no doubt after the rain today these will start coming thick and fast! OK, on to another courgette recipe, which is quick, simple and very very tasty! I cooked it for my sister and she loved it that much she left armed with courgettes to make it at home. 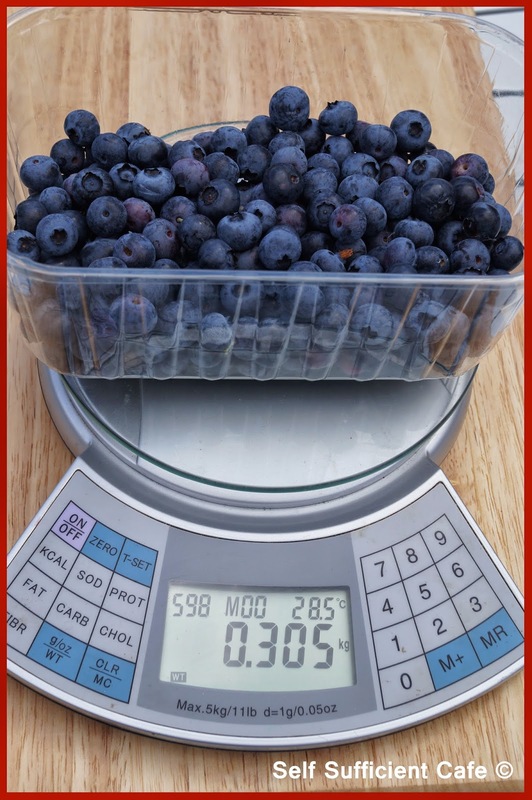 You could easily double of the ingredients if you were feeding more people. Put your pasta on to cook, the rest of the dish can be made before the pasta cooks. Its that quick! In a frying pan saute the courgettes and mushrooms in the olive oil for 5 minutes or until the courgettes are starting to brown around the edges but retain some bite and the mushrooms have released their liquid. Meanwhile place the water and cashew in a blender and blend until you have a smooth liquid (I love my vitamix for this, its super speedy). Add the basil and salt & pepper to taste and blend again until you have a smooth green liquid. The smell is fantastic! Pour the green sauce onto the courgettes and mushrooms. It will start to thicken as soon as it heats up, so keep stirring. Drain your pasta reserving the cooking liquid. Add the pasta to the courgette mix and stir to coat with the sauce. 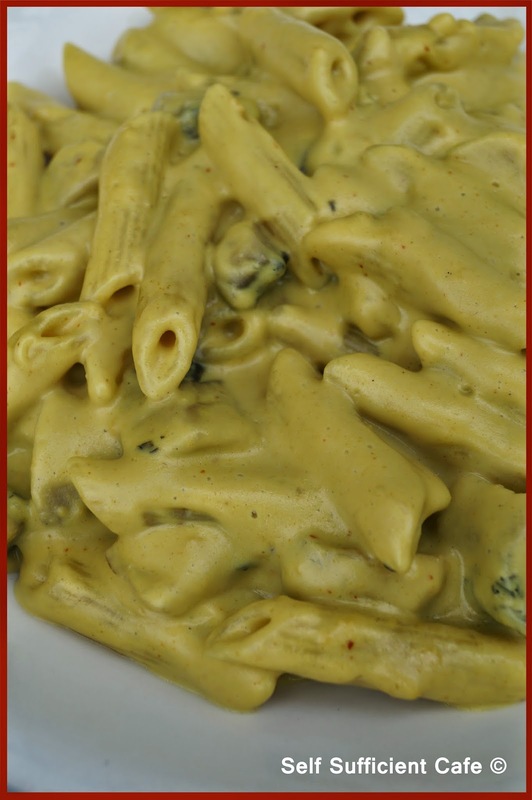 Add as much of the reserved pasta water to thin out the sauce to your desired consistency and serve straight away. Dinner is served in under 15 minutes! Who needs take away! 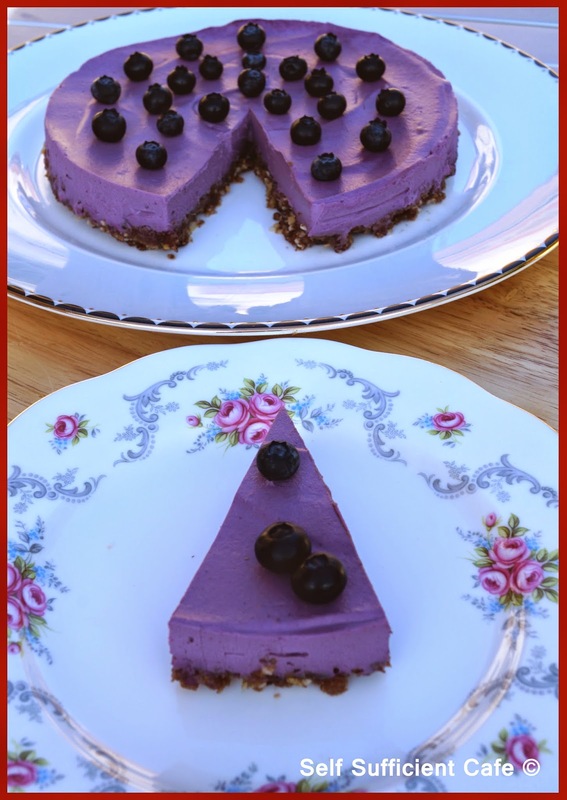 The first recipe I'm sharing from the August menu is my Blueberry Cheesecake. 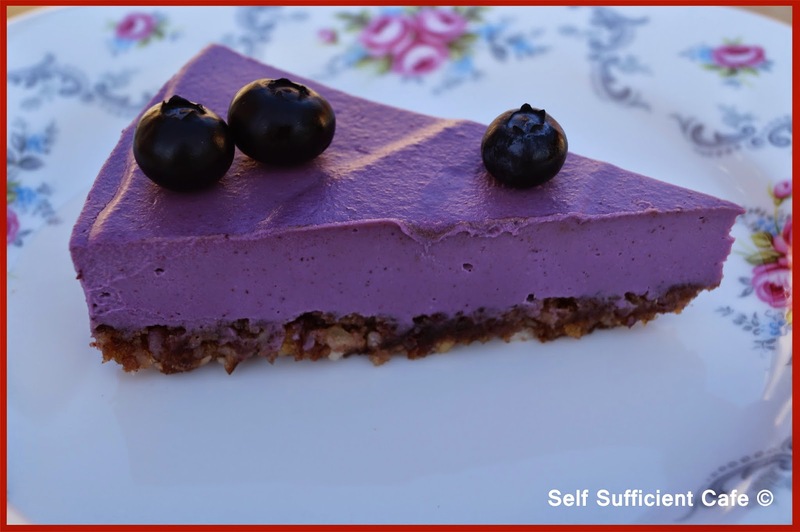 I couldn't wait to receive my Suma Package this month so I could set to in the kitchen and make this delicious vegan cheesecake. As you know from my first Suma post - Vegetable Tagine, every two months I will be sharing a recipe I have created using ingredients from the Suma Co-op. 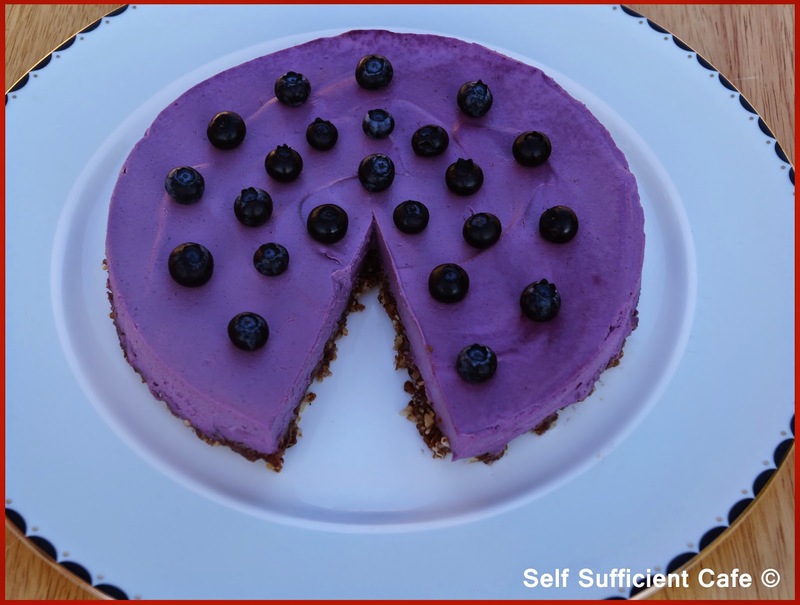 All the ingredients for this recipe are from the store cupboard bar two fresh ingredients; blueberries and lemons. 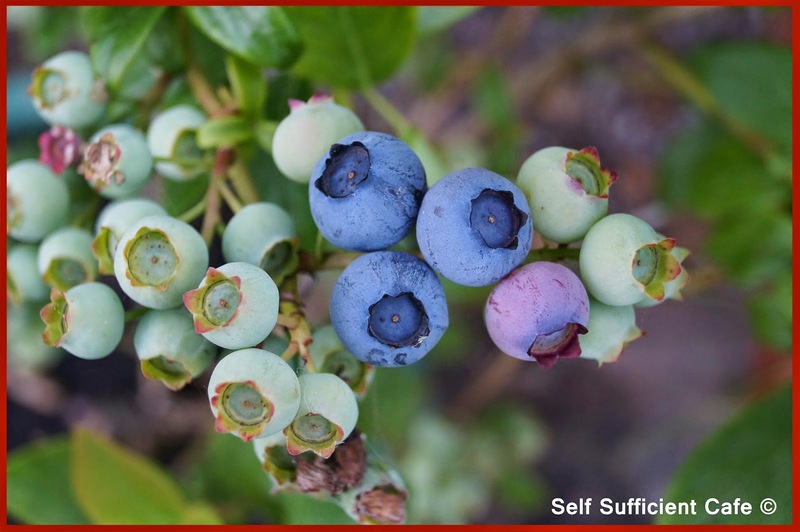 Thankfully I have a blueberry bush in my garden and after I've picked this last harvest the berries will be few are far between, but they will still be enjoyed with my homemade muesli for breakfast over the next few days. 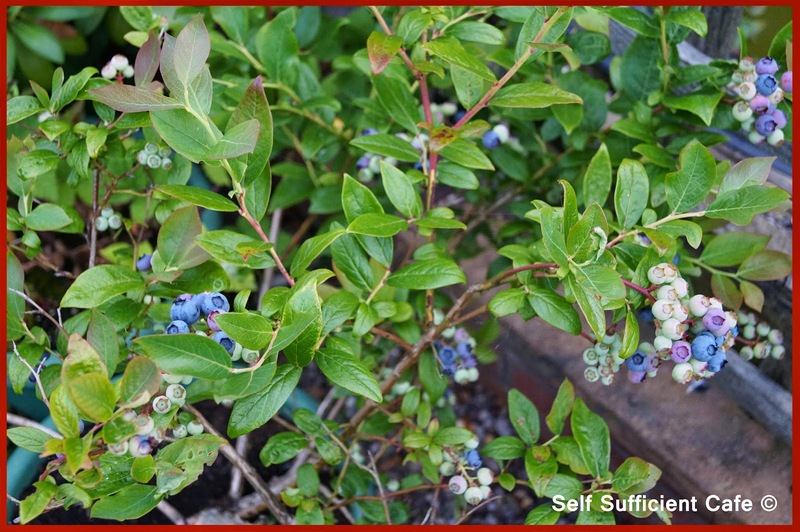 I've had two large harvests of over 300g from my blueberry bush and then handfuls every now and again which I have collected in the mornings. 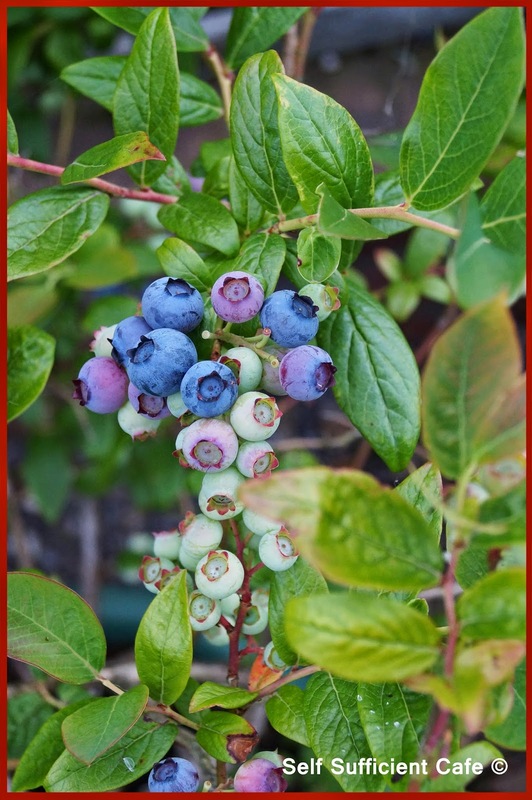 There is nothing better than going outside first thing, picking some berries to have with your breakfast. 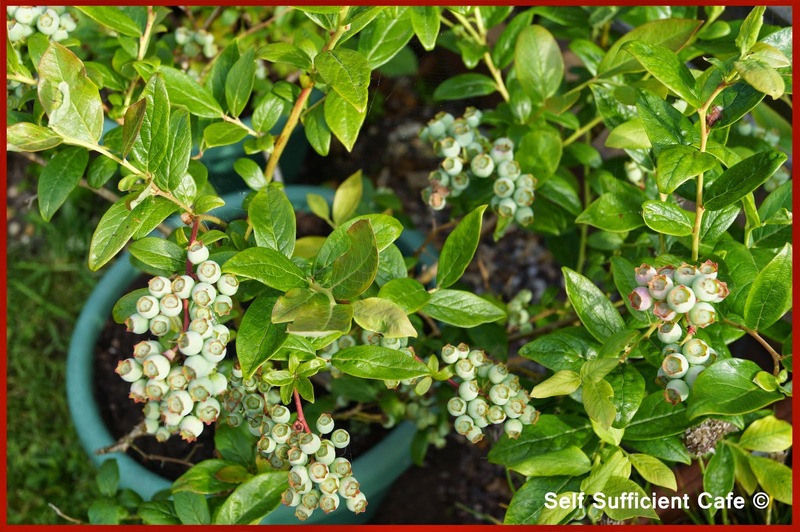 Overall, I have been extremely lucky to have harvested just over 800g from my sole blueberry bush this year and I'm hoping to reach the 1kg mark with the last few berries on the bush, but its looking doubtful, especially as the blackbirds have found how to get to the berries even though it is netted! 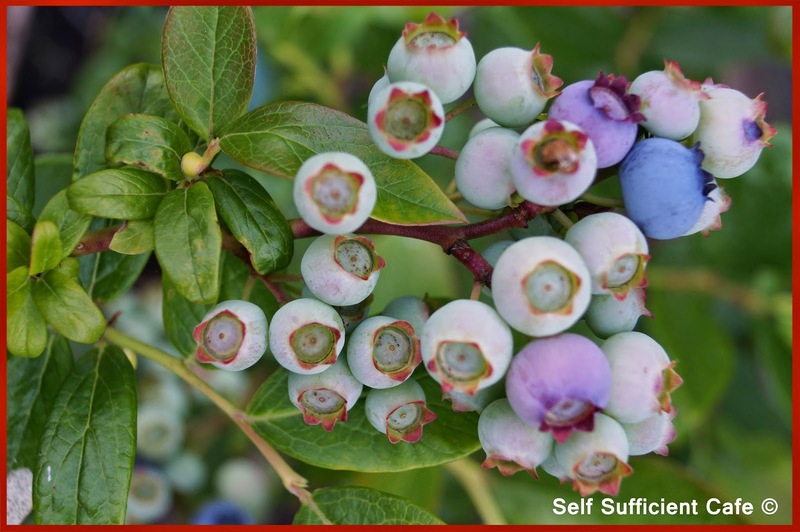 Oh well, I can honestly say every berry has been delicious and savoured! 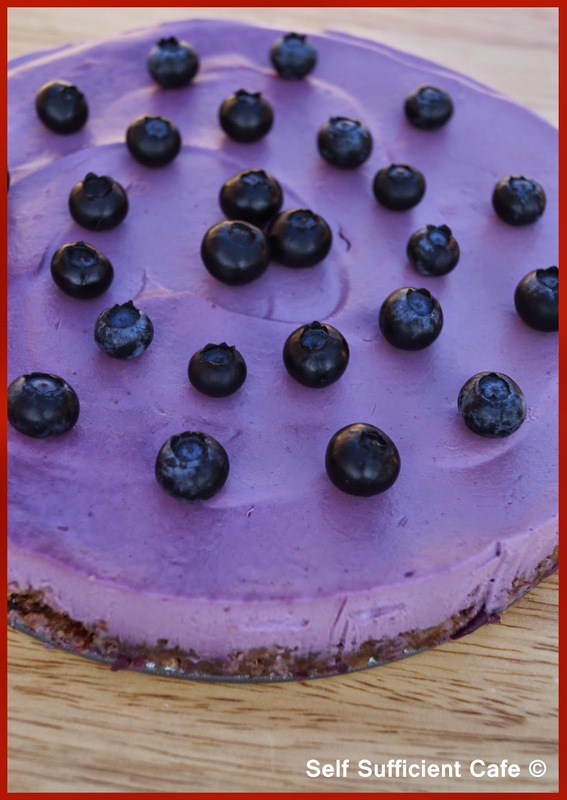 So without further ado here's how you make my blueberry cheesecake. Soak the cashews in 400ml water overnight, drain, rinse and drain again. 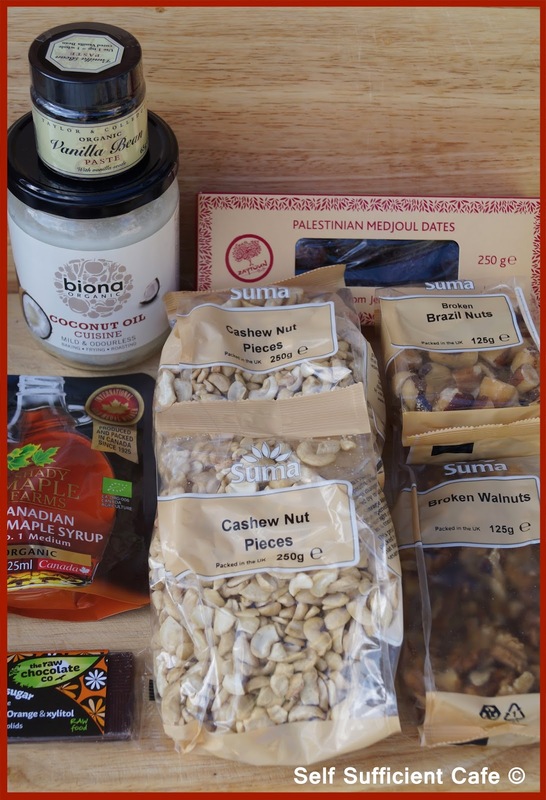 Add the brazil nuts and walnuts to a food processor and pulse till the nuts are broken into coarse breadcrumbs, be careful not to go too far and process to a paste. Add the medjool dates and pulse a few more times until the dates are chopped and mixed into the nuts. Transfer to a loose bottomed cake tin and press the mixture into the tin, put in the fridge to harden off while you make the cheesecake filling. 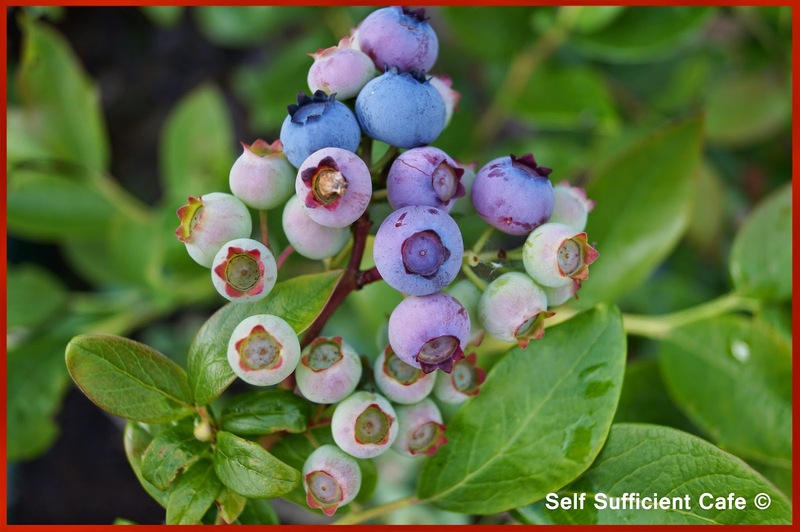 Add the blueberries to a blender with 1 Tbsp of the maple syrup and the vanilla paste and blend until you get a puree. I used my Vitamix and because it gets hot the puree was almost jam like! I must remember that for the future. Transfer the puree to a dish and set aside. Rinse out your blender ready for the next step. Transfer the soaked cashews to a powerful blender (I used my vitamix which does the job perfectly, a standard blender may take a little longer to obtain the creamy filling). Add the lemon juice and remaining ½ Tbsp of the maple syrup and blend until a thick creamy paste. Add the blueberry puree and blend again, the mixture should loosen ever so slightly. Melt the coconut oil so it can be added in liquid form. Add to the blueberry and cashew mixture slowly while the blender is running. Spoon the mixture on top of the nut base and smooth over the top. Return to the fridge for at least 2 hours so the mixture can set. 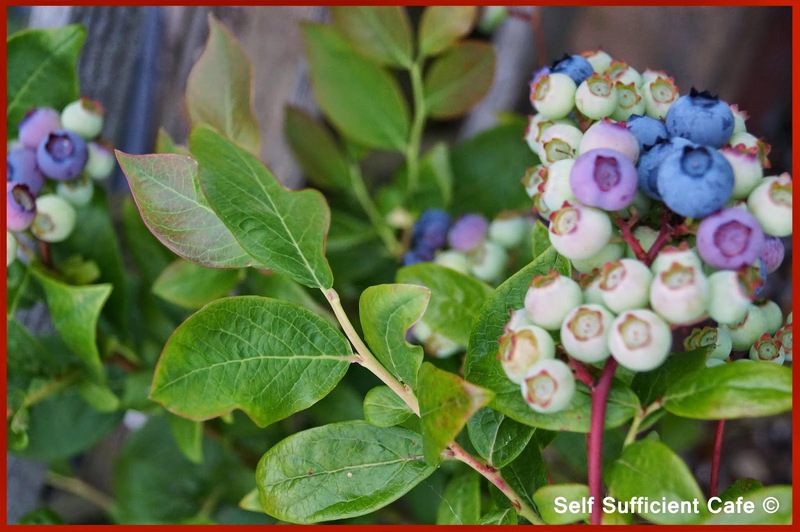 Decorate with more blueberries. 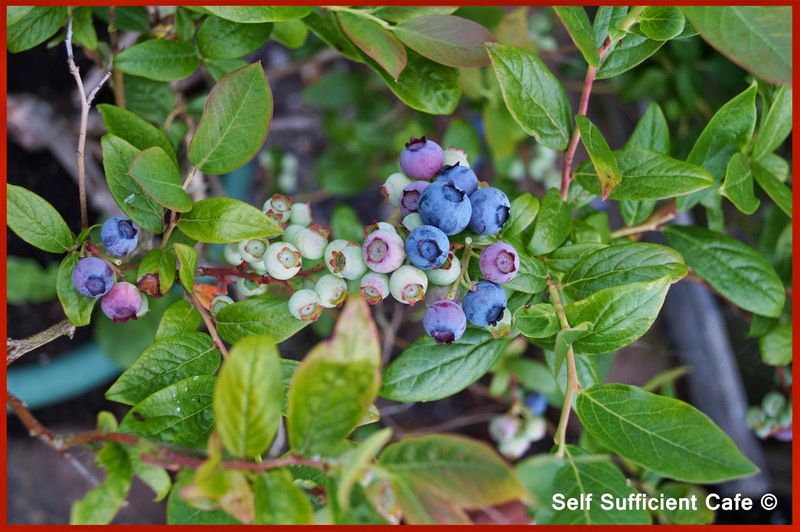 I'm so proud of my gorgeous blueberry bush, I thought I would share some of the photographs I have taken throughout this season. The photos span from April through to August, you can tell how proud I am from the number of photo's I've taken!